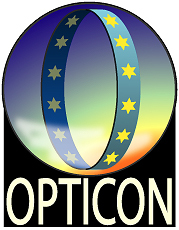 The Optical Infrared Co-ordination Network for Astronomy (OPTICON) has issued its call for proposals for semester 2018A, for telescopes supported by its Trans-National Access (TNA) programme. The Liverpool Telescope (LT) is part of this network, and we have made available fifty hours of telescope time to be used in our semester 2018A, which runs from 1st January 2018 to 31st August 2018 inclusive. The deadline for proposal submissions is 23:59 UT on 31st August 2017. Technical support for the submission software is not provided out-of-hours and late applications will not be accepted, so please complete your application in plenty of time. Full details of this 2018A Call for Proposals, including instructions on registration and submission of your proposal, can be found on the OPTICON Trans-National Access programme page. The TNA programme page specifies certain EU and OPTICON rules that proposals must meet for formal eligibility concerning team membership. Please pay attention to those rules or your proposal will be rejected without any scientific evaluation. The PI and at least half of the Co-Is must be working at institutions from EU member states or EU associated countries but which are outside the United Kingdom. Full details of the LT's current instrumentation and capabilities can be found elsewhere on this site, but to get started, your attention is drawn particularly to our Telescope Specification, Instruments, and Phase 1 sections.